oh, but those links i was talking about… (because it’s almost 1 am, and i’m still a bit beat up and exhausted from all the swapping action). i honestly wasn’t sure if the 5th one down was chaz bono or jonah hill. it really does make sense either way. my awesome friend molly is having a photo contest. you love contests. since i made you look at all those awful costumes last week, here is a round up of straight up of all the best costumes from san diego comic-con. have your kid’s drawing made into the coolest stuffed animal known to man. what’s the worst movie sequel you know? make a fake criterion, and win yourself a prize! Thanks for sharing my finds! I had such an amazing time, and I hope I can be a part of the next one, too! P.s. Feel free to use the photos I posted on my blog in your flickr feed! 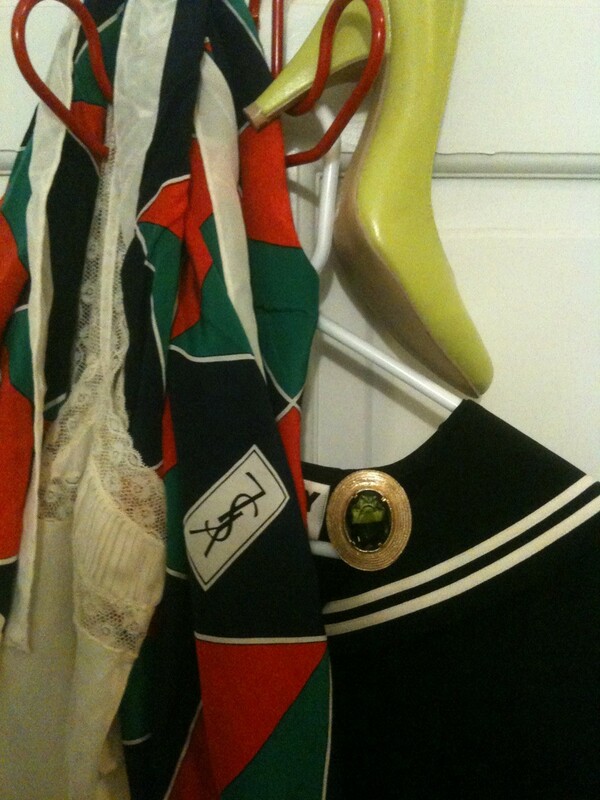 That Sailor dress came from the last Swap via my friend Heather. Mandy Wheeler of Shop Grandma June grabbed it and re-Swapped! i feel a little cooler knowing that my dress at one point belonged to mandy. my taste isn’t terrible after all! although i did wear it to work last week, and felt a little bit like a pentacostal compound bride (or at least like chloe sevigny a la big love).